Where have you worn your Lost Dutchman tee shirt? 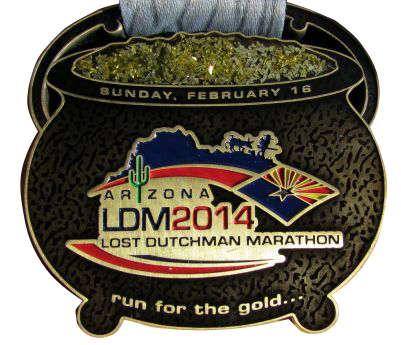 Finishers for all events other than the 2 mile fun-run receive a beautiful one of a kind Lost Dutchman Finisher's medal. 2015 medals and tee shirts are being designed. Designs will be displayed here as soon as they are available. Here is what we provided in 2014. All participants will receive an Expert "tech tee" long sleeved shirt..
Lost Dutchman Timing Provided by Raceplace Event Systems. Raceplace will be providing chip in the bib timing for 2015. Join Our Race Team! No running required! You don’t have to be a runner to enjoy the Lost Dutchman Marathon – everyone is welcome to help – whether you are a runner or have no experience with marathons. What matters is being willing to give any amount of time that you can spare to help make this event even more of a success than it was last year. Volunteers are the heart and soul of the Lost Dutchman Marathon. Feedback from our runners almost always references the fun, energetic and committed volunteers. Lost Dutchman Marathon volunteers are awesome! World-class volunteers attract world-class runners and you’re just the volunteer we are looking for! Sign up today to be a part of the excitement. Individuals or Families: If you can spare a little, some, or a lot of time -- help us make the Lost Dutchman Marathon another success. Whether you help at the Health & Fitness Expo, assist at registration or provide support at the finish line, you will be an integral part of this premiere event. Groups: If you belong to an organization that can work as a team, help us on special projects throughout the year, during the final pre-race preparation, on race day and post race as well. 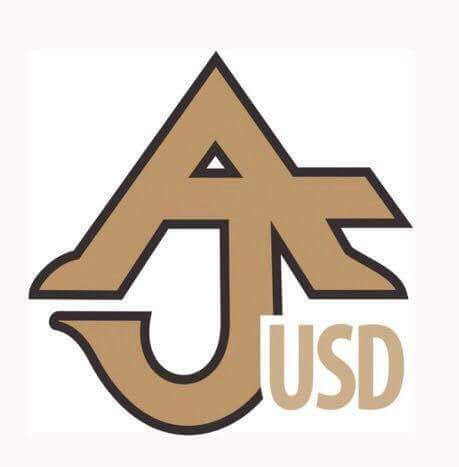 Click here to see the list of available volunteer positions! Already know what you want to do? Click here to sign up! Have a question? Email our volunteer coordinator Kristie Carmitchel.